This work explores Susan Hiller’s ongoing interest in the supernatural. It is one of a series of homage to artists' works, which include a display of books about automatic writing in homage to Gertrude Stein and bottles of sacred water in homage to Joseph Beuys. 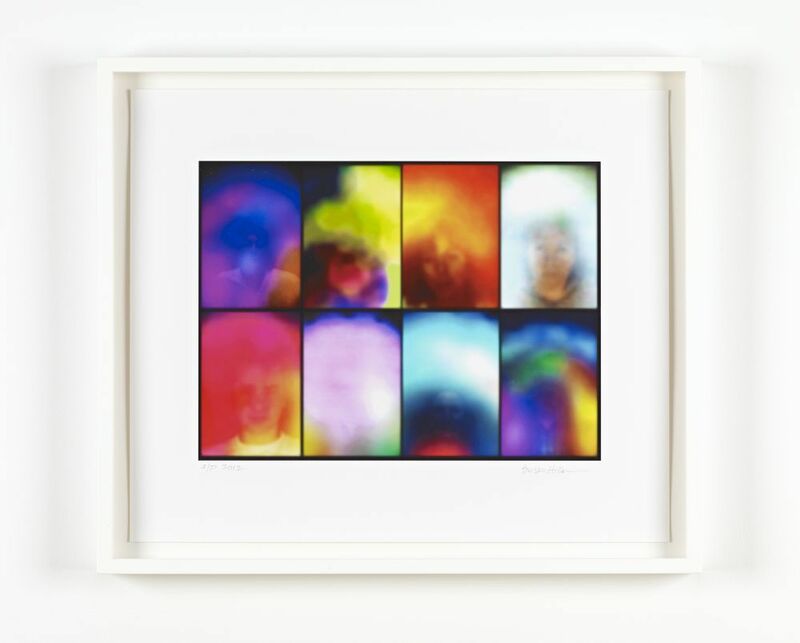 This print uses eight found aura portraits selected from a varied collection which Hiller has amassed over a number of years. The use of found portraits is a fitting tribute to Marcel Duchamp, who famously called his works ‘readymade’. A large version of this print was made for Ingleby Gallery’s ‘Billboard for Edinburgh’, an ongoing public art project started in 2008. The billboard is situated on the side of the Ingleby Gallery building and each selected artist has their work on show there for three months.